In a world where all smartphones and tablets are capable of playing brilliant video games such as Angry Birds 5 Reasons Angry Birds Is So Damn Addictive 5 Reasons Angry Birds Is So Damn Addictive My name is Dave Parrack, I'm a 34-year-old freelance writer from England, and I have a problem. I'm addicted to playing Angry Birds. Being hooked on catapulting feathered weapons of mass destruction into smug pigs... Read More and Candy Crush Saga Need A New Game? Candy Crush Is Boring Compared To This One [Android] Need A New Game? Candy Crush Is Boring Compared To This One [Android] At first glance, I Need A Hero did not seem like the right kind of game at all. The name sounds cheesy, the graphics and music did not impress me, and the background story was... Read More , it’s easy to forget about the dedicated handheld games consoles on the market. And with the 3DS Nintendo 3DS XL Review and Giveaway Nintendo 3DS XL Review and Giveaway Among all the big names in gaming consoles, Nintendo is definitely among the top favorites. 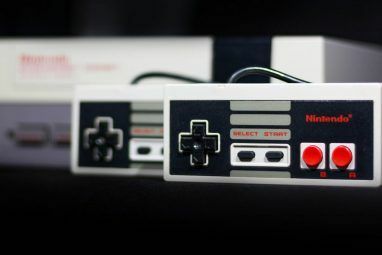 As a '90s kid, I associate much of my childhood with playing Nintendo games. I remember growing up with the... Read More and PS Vita 4 PlayStation Vita Games That Might Make You Consider Buying The Console [MUO Gaming] 4 PlayStation Vita Games That Might Make You Consider Buying The Console [MUO Gaming] Recently, the buzz around the MakeUseOf gaming office has been all about the PlayStation Vita. I have just finished a lengthy review on the device, and so far, I could not be happier. While the... Read More being the latest and greatest handheld games consoles, it’s even easier to forget about the humble Nintendo DS. However, ignoring the DS would be a huge mistake. Here is a games console of which in excess of 150 million have been sold worldwide since its launch in 2004. It’s the best selling handheld games console of all time, and the second best selling games console (handheld or otherwise) ever. This success means a lot of games have been released for the Nintendo DS, and many of them are eminently playable. A DS can be bought for next to nothing, making it the perfect accompaniment for a vacation or long journey. What follows are five essential Nintendo DS franchises you should play, whether you’re a new owner, a veteran user, or even a buyer of the new Nintendo 2DS. 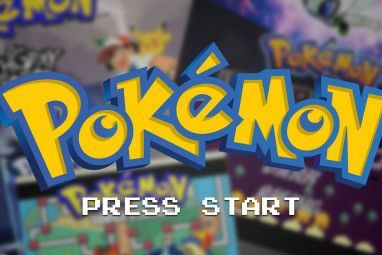 The Pokemon series Become A Master Pokemon Trainer With These 3 Websites Become A Master Pokemon Trainer With These 3 Websites Admit it; you still love Pokémon. I don't care if you are 12 years old, or 30 years old, Pokémon is, and always will be awesome. Maybe since you've got older you stopped watching the... Read More is one that everybody reading this will be familiar with, as it is known the world over thanks to numerous games, TV shows, and even movies. It’s also a franchise that is synonymous with the Nintendo handhelds, starting with the Gameboy and continuing on through to the 3DS and (no doubt) beyond. There are several Pokemon games available for the DS, including Diamond and Pearl, HeartGold and SoulSilver, and Black and White. All of which are insanely addictive and contain endless hours of entertainment. These are games that, while primarily aimed at kids, will appeal to all, regardless of age or gender. Scribblenauts is a video game franchise that mixes puzzling and edutainment into an eclectic package. You play Maxwell, a (purposely) crudely drawn main character whose mission it is to collect Starites in order to help his cursed sister. You do this by helping NPCs solve problems by using your ability to conjure physical objects from thin air. This series features puzzles which can be solved in a number of different ways, which lets gamers of all ages put their gray matter to the test. The original Scribblenauts and Super Scribblenauts appeared on the DS, while Scribblenauts Unlimited (which also made our list of educational console games 6 Educational Console Games For A Fun And Successful School Year 6 Educational Console Games For A Fun And Successful School Year Contrary to popular belief, video games aren't a useless form of entertainment responsible for sucking precious time away from children and adults alike. Even generic first-person shooters such as the Call Of Duty titles could,... Read More ) released on the Wii U. Advance Wars (or Famicom Wars or Nintendo Wars) is a series of strategy games that, in one form or another, has appeared on Nintendo consoles since 1988. Two Wars games have been released on the DS: Advance Wars: Dual Strike and Advance Wars: Days Of Ruin. Both of which will take away far too many hours of your life to be healthy. These titles are both turn-based strategy games which sees you in control of one military power and battling against another for victory in battle. The gameplay is a lot more compelling than it sounds, with individual moves becoming as crucial as any made in a nail-biting chess match. The Professor Layton games surely need no introduction, as they’ve gained an incredible reputation thanks to the combination of classic Japanese-style animation and timeless puzzle-solving. You play Professor Layton and his assistant Luke Triton as they embark on lengthy and engrossing adventures together. There are four Professor Layton games available for the DS: The Curious Village, The Diabolical Box, The Unwound Future, and The Last Specter. All offer a simple premise featuring puzzles that will give even the oldest and wisest gamers headaches. Which is, as far as puzzle games go, a positive thing. If you have never heard of the famed The Legend of Zelda series then Nintendo has failed in its mission. The original Zelda game was released in 1986, and there have been numerous sequels and iterations released in the succeeding years. With the exception of just a couple of below-par titles, most Zelda games are more than worthy of playing. There have been two Zelda games released on the DS: Phantom Hourglass and Spirit Tracks. While the best Zelda games have appeared on the home consoles, these two handheld titles are gems in their own right, with an inventive control system being employed to keep things feeling fresh. I still own my DS, and I’m not sure I’ll ever part with the trusty Nintendo handheld. It’s the perfect console for when you’re out of the house and either need to kill a few minutes or feel the need to get your gaming groove on. The five franchises listed above represent the best of the best that you really cannot go wrong with. Do you own a handheld games console? 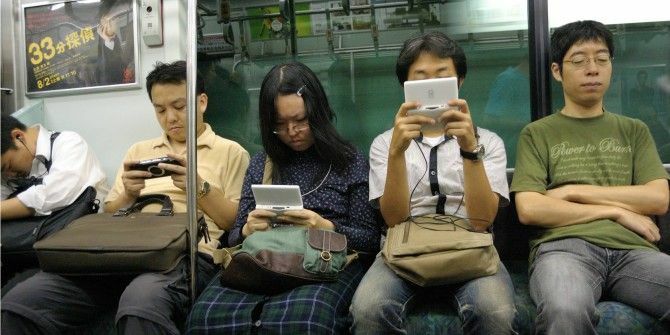 Would you consider buying a Nintendo DS or does your smartphone fulfill your desire to game on the go? Are there any DS games which have resonated with you to the point you’d feel comfortable recommending them to all and sundry? Please let us know your thoughts in the comments section below. I really love Professor Layton. It's fantastic games. I agree. I've got one on the go right now... I'm finding it tough even though I'm in my mid-30s! What about Kingdom Hearts? There were two pretty great games that were released for the DS in this franchise. 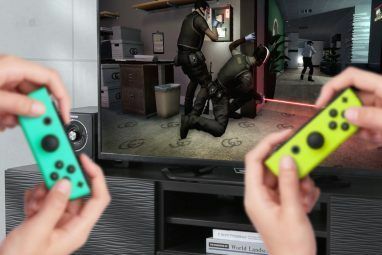 Or would someone have to be a fan of the series already to really like those games...? @Dave: What is its most natural home? Super Nes? Other suggestion: the incredible visual novel "999"
It's hard to beat Mario Kart on the SNES, but I honestly feel it works better on home consoles in general. It's the same with all driving games to be honest. Animal Crossing is the best Nintendo franchise and thus by default best DS/3DS game. I don't have a 3DS (my girlfriend has a DS, I played Animal Crossing till my thumbs bled on it) but I will probably get one before the product cycle is out just for New Leaf. Nintendo could always just release it for iOS and make a boatload of cash but no they seem insistent on throwing away their future with sub par consoles like the Wii U instead. I suspect Nintendo will see the light soon, though why would they team up with Apple over Google? Android has an 80% market share now. No Osu Tatakae Ouendan? The japanese versions are great. Somebody up there mentioned Phoenix Wright, but let me clarify a little. Phoenix Wright is a GameBoy Advance game, only released in japan, the only ds game is Apollo Justice. Even if is not a franchise, i tottaly recommend Rhythm Tengoku Gold (The english version is a little to... english) and Wario Ware, those are great DS Games. I loved Elite Beat Agents but wasn't previously aware of its origins. Thanks for the other suggestions. Nice list! I have played most of these series (all very good), but none on DS. I'll keep this list in mind. No Phoenix Wright? Blasphemy! At least Professor Layton and Advanced Wars is on there. Honestly, I think the DS Zelda titles were the weakest in house Zelda titles. The Touchscreen felt more like an overused gimmick than anything else, also forget trying to draw in Phantom Hourglass. I couldn't beat the game, because it took me over 2 hours to try and draw a Triforce before I said screw it. I was very tempted to include Phoenix Wright. Definitely a good choice to add to this list! Got an Android device? Get DraStic, pretty much perfect DS emulation. Not a bad option, though legally questionable, methinks. However, there is nothing quite like playing a game on the console it was originally created for, no matter how good the emulation is.